THE BASIC GENEALOGY OF THE WOODHOUSE FAMILY: CADDIE WOODLAWN BY CAROL RYRIE BRINK. The subject of this Sketch came to America at the age of 14 years, and entered the employ of his Step-Father J Crashaw [Joseph ‘Joe’ Crashaw] a carpet manufacturer of Boston Massachusetts. At the age 16 years,  he wove the first piece of Brussels carpet made in Americas, and the loom upon which this was woven was exhibited by his Step Father at the Centennial at Philadelphia. In 1856 he took first Steam Engine to the Numbering region around Eau Galle, Wisconsin, for ten years managed a saw mill for the firm of Knapp, Stout & Company. From that point he went to St. Louis Mo., and while in the service of Jerad B. Allen & Company, superintended putting the steam heating plant into the St. Louis insane Asylum and was also foreman of the Iron Work on the great Eads bridges [St. Louis MO]. He created the smelting works at Rich Hill, MO for Jay Gould and the Pitcher Bros, at a cost of $150, 000 and 1894 retired from business life to a fruit farm near Bunker Hill Ill. This life was not active enough for him, however, and he accepted an offer to San Antonio Texas to erect a plant for canning the famous Mexican delicacy, chili con-carney and while there made the first machine to successfully grind chili peppers. He then became interested in the pacific coast and its possibilities, and in 1892 came to Anacortes, where he built a cozy suburban home and had a model farm of small portions. The Woodhouse home is noted for the thoroughness with which everything was done. If be drained his land, it was done in the most scientific manner. His fruits were of choicest varieties, and the trees had the best care. A great lover of flowers. His home was as attractive as a professional florist could have made it. Up to the time of the death of Mrs. Woodhouse last September, it was one of the pleasures of life at Anacortes to go to this well-kept home, where all were welcome. Mr. Woodhouse was a great reader and a broad minded thinker as well. He liked the society of young People, was jolly, and never tired of entertaining his friends. 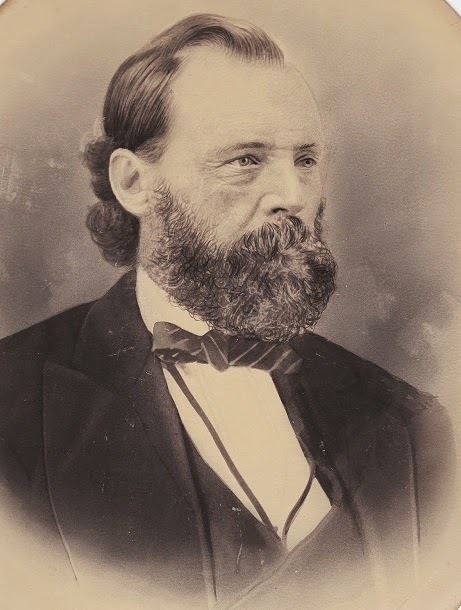 Mr. Woodhouse was married in 1847 at Boston to Harriet Jane White to whom was born ten children, five sons and five daughters of whom eight are still living of these Thomas D. and George D. at Pittsburg Kansas, John Warren at Nevada MO, Frank E. at Bunker Hill Ill, Joseph W. in Pennsylvania, Mrs. Carrie A. Watkins at Moscow Idaho, Mrs. Henrietta Pulley at Wellington Wash., and Mrs. Minnie Robinson of this City, Paul V. Woodhouse, also of this city, is an adopted son. Mr. Woodhouse was downtown about a week ago but since then had been gradually sinking, the results of a complication of troubles. He seemed to realize the approach of the death, and had his daughter’s come to him. He gave directions as to the disposition of his effects with the precision and care that characterized his business dealings through on. The funeral announced for Friday afternoon at 2 O’clock from the residence the REV. Mr. Covington will have charge of services. This entire product and/or portions thereof are copyrighted by NewsBank and/or the American Antiquarian Society. 2004. ANACORSTES, MONDAY April 16,--Vipond Woodhouse a resident of this city for ten years past, died Thursday morning aged 75 years. He was native of Lancaster England, from which place he came to American at the age of 14 years and entered the employ of his Stepfather J. Crawshaw, a carpet manufacturer of Boston, Mass. At the age of 16 years, he wove the first piece of Brussels carpet made in America and the loom upon which this woven was exhibited by his stepfather at the centinial at the Philadelphia. In 1856 he took the first steam engine to the lumbering region around Eugalla Wisconsin, and for ten years managed a sawmill for the firm of Knapp, Stout & Co. From that point he went to St. Louis MO., and while in the service of Jerard B. Allen & Co., superintended putting the steam heating paint into the St. Louis insane asylum, and was also general foreman of the iron work of the great Eads Bridge connecting East and West St. Louis. In 1870 he was engaged by Lockwood, Scott & Co., as superintendent of their works for treating lead ores, and later patented the Scotch eye, used extensively in smelting operations, and commonly known as the Woodhouse patent. 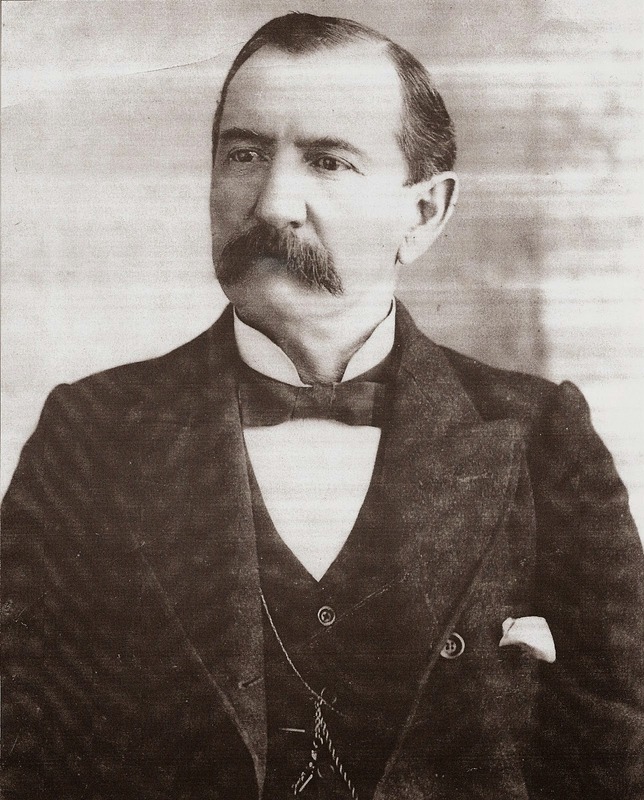 He was next in charge of the Smelting plant of the Pitcher Lead & Zinc Company, at Joplin Mo., Where he remained for seven years, and invented two lift and force pumps that soon found their way into popular favor among the mining fraternity. He erected the smelting works at the Rich Hill Mo., for Jay Gould and the Pitcher Brothers, as a cost $150,000. And in 1834 retired from business life to a fruit farm near Bunker Hill Ill. This life was not active enough for him, however, and he accepted an offer to go to San Antonio Texas Mexican delicacy, Chili Concarne, and while there made the first machine to successfully grind Chili peppers. He then became interested in the Pacific Coast and its possibilities and in 1891 came to Anacortes, where he built a cozy suburban home and had a model fruit farm of small proportions. The Woodhouse home is noted for the thoroughness with which everything is done. If he drained his land, it was done in the most scientific manner; his fruits were of choices varieties, and the trees had the best of care; a great lover of flowers, his home was as attractive as a professional florist could have made it; up to the time of the death of Mrs. Woodhouse last September, it was one of the pleasure of life at Anacortes to go to this well-kept home, where all were welcome. Mr. Woodhouse was a great reader and a broad-minded thinker as well. He liked the society of young people, was jolly and never tired of entertaining his friends. Paul V. Woodhouse of this city, is an adopted son. Mrs. Harriet Jane Woodhouse, wife of J.V. Woodhouse, died Sunday at the family home in this city, at the age of 70 years and 9 days. Mr. and Mrs. Woodhouse came here nearby ten years ago, and after buying a tract of land from the late William Allard, constructed a cozy of dwelling and converted their acquisition into a model home, where they have since lived. The health of Mrs. Woodhouse had not been good for a long time before her death, and upon one or two former occasions she had been so low that it was thought impossible for her to revive, but her naturally robust constitution told in her favor and she each time recovered. 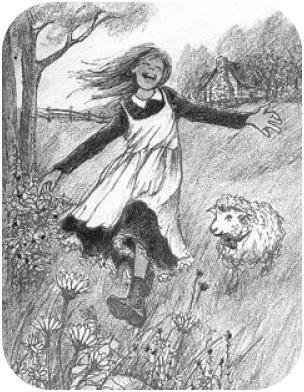 Although at times she suffered intensely, she bore it all bravely and was considered by her many friends as unusually cheery and jolly. 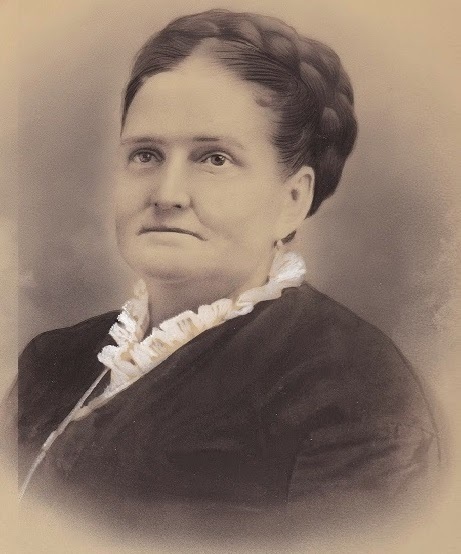 Mrs. Woodhouse was born September 8, 1829, at Roxbury Massachusetts, and on her eighteenth birthday was married to Mr. Woodhouse. It was married to Mr. Woodhouse It was her pride to relate that in the course of their long married life they had never been apart for longer than four months at any one time, and that they had seldom been apart at all. She was the mother of ten children, all but two whom survive her, as one also one an adopted Son. One daughter Mrs. Robinson, resides in Anacortes. Clara never married: As soon as they settled in St. Louis Missouri Clara caught typhoid fever and died. 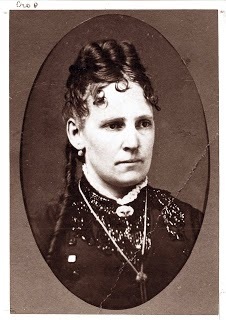 This Photo was taken in 1872 in Saint Louis, MO Year before she married Doctor William Woodbury Watkins. She almost became 1st Lady to Idaho. Her husband was asked to run for Governor on the Republican Party for the State of Idaho. However, he turned them down because he loved being a doctor. They both suffered the same fate from deranged men who had grips with both prominent men. Note: Mary Woodhouse is noted in papers in Wisconsin. On April 17, 1860, Woodhouse and his wife decided to purchase 160 acres near the village of Dunnville, six crow-fly miles from Eau Galle. They hired Levi Drake, who lived about a quarter of a mile north of their new purchase of land, to build a home, not of logs, but constructed of sawn lumber. It was in the home that Mary, a frail, sickly child who had had a difficult time traveling to Wisconsin, died. She was buried on a little rise of land in the northwest corner of the Woodhouse farm. Note: Minnie died of Typhoid Fever. She was 41 years old. 9. 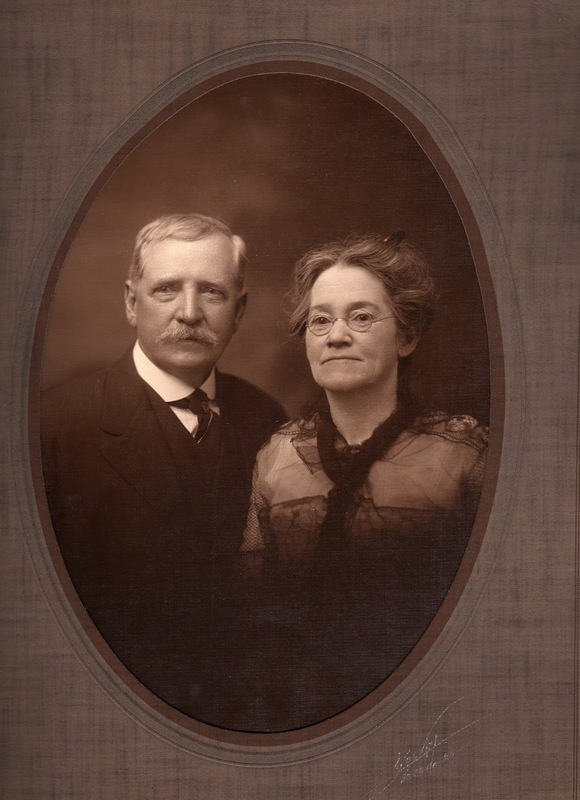 Frank Edmund Woodhouse Sr.
Issues: Etta Woodhouse & Frankie Edmund Woodhouse Jr.